Motel Montcalm is located in the heart of Gatineau, Quebec, just a short 7 minute drive over the MacDonald-Cartier Bridge from our Nation’s Capital, Ottawa, Ontario. 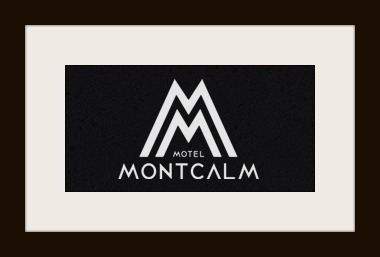 Established in 1973, Motel Montcalm’s mission is “to provide an intimate, warm and comfortable atmosphere offering a safe place to rest at an affordable price”. Motel Montcalm offers “exceptional value for the executive traveler, leisure traveler or family on a budget”. We were invited by Motel Montcalm to come and stay for one night in their recently renovated King Jacuzzi Suite. Having spent a great deal of time in the Gatineau area, we were happy to be able to enjoy a night away from home exploring the Gatineau region famous for its Museum of Civilization, Casino du Lac Leamy, and of course, the gorgeous Gatineau Park. We visited Motel Montcalm on a rainy night at the end of October, so unfortunately we weren’t able to take advantage of the amenities that Motel Montcalm offers during the summer months – a heated Outdoor Pool and Poolside BBQ Grill. The rain also kept us inside so that we weren’t able to get outdoors and really enjoy the beautiful Gatineau region. No problem though. We have spent countless sunny days exploring the Gatineau hills in the past, and the cold damp night meant we could stay inside in our cozy suite and enjoy it instead! To be totally honest, we weren’t sure what to expect upon our visit to Motel Montcalm. 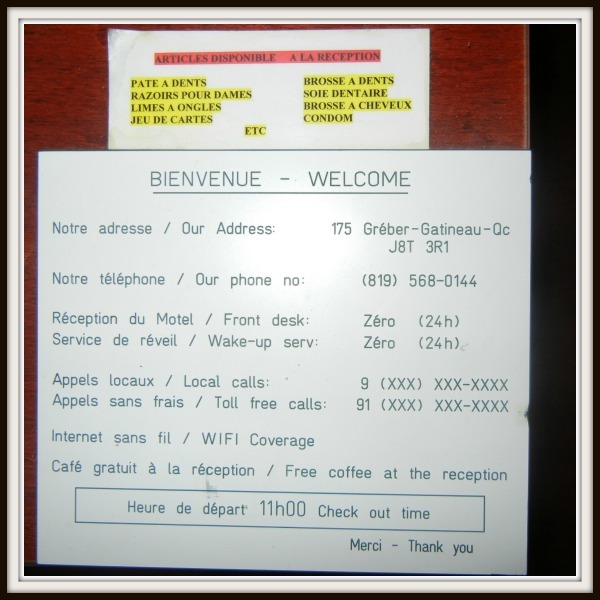 We knew the area well, and knew that the Motel was located in an older section of Gatineau, along the busy Greber Boulevard. 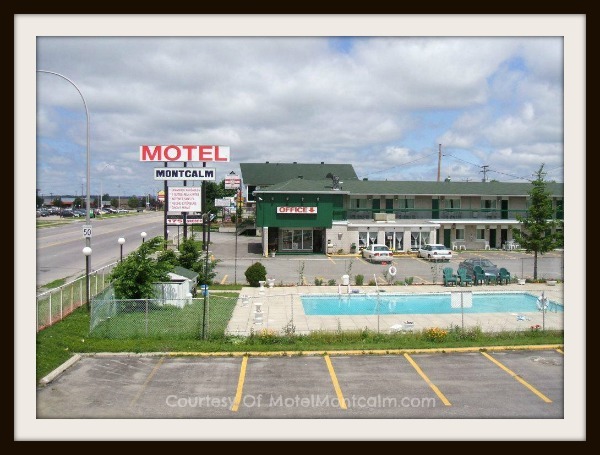 The motel was constructed in 1973, making this Motel Montcalm’s 40th year in business. So Motel Montcalm is an “older lady” showing “signs of age” on her exterior. Trust me, this 40-something Blogger can relate, lol! Knowing that you can’t judge a book by it’s cover, we ventured into the motel office once we arrived, eager to get the key and go explore our King Jacuzzi Suite. The pleasant staff member behind the counter greeted us promptly and provided us with our room key. The front office area was inviting, with complimentary coffee and muffins on display. Upon entering our King Jacuzzi Suite in room 220, we noticed how clean the room appeared to be. All surfaces were dust-free, and the new floors (hardwood/tile) were immaculate. Sheets and towels smelled fresh and clean, and the bathroom was sparkling. Even our glassware was sparkling clean. We had a very good overall first impression of our room. We were relieved because we are fussy when it comes to cleanliness in a motel/hotel room. We’ve watched plenty of those news documentaries showing the “unpleasant” things you can find within some motel/hotel rooms. Our room seemed rather cool when we arrived and we noticed the heat was turned down. We raised the thermostat and turned on our electric fireplace (nice!). Our room was warm and cozy in no time. Our king-sized bed was comfy and LOADED with soft cushy pillows (loved this!). We noticed right away that there was a Keurig coffee maker in our room. We both love coffee first thing in the morning, so an in-room coffee maker is a must for us. We were provided with two different flavours of K-Cups each. There were some nice ceramic coffee mugs set beside the Keurig machine – a nice touch considering many motels just provide paper/styrofoam cups. Needless to say, we very much enjoyed our in-room jacuzzi! Who doesn’t love having a jacuzzi bath right in their suite? On a cold and rainy October night, this jacuzzi was a very welcome treat! Towels were nicely set out for us beside the jacuzzi, and the tub was large and very comfortable for two people to relax in. A little bit of heaven! Great company, massaging jets of warm water, and a complimentary bottle of wine topped off our night at Motel Montcalm off perfectly. The king-sized bed is on wheels. The bed should either be attached to the headboard, should be on legs, or wheels should be locked. We could not stop our bed from rolling forward on the hardwood floor, away from the headboard, while sitting up in bed. Add a small waste paper basket in the bathroom. Add a small alarm clock beside the bed. Tidy up the wiring around the TV (if possible). For such a lovely looking room, the hanging wires are an eyesore. Add a small (two-person) round table and place between the two chairs for those that wish to eat a meal in their room. Have a staff member turn on the heat in the room shortly before guests arrive to make for a warmer welcome during winter months. Any of these issues were minor, but hopefully they are things that Motel Montcalm can improve on. The most pressing issue on our list would be the rolling bed. On the bright side, the first time the bed rolled out from the wall, we were able to take a good look at the floor behind the bed. It was very clean – no dust bunnies to be seen! While we could sleep through just about anything when it comes to noise, not everyone can. For example, my sister and her husband have difficulty sleeping with someone in the room next to them snoring. Motel Montcalm is located on a busy boulevard, and you will hear noise. The noise level of the cars outside did not bother us at all. But, if you are sensitive to noise, bring a pair of ear plugs just in case…or request a room that is away from the road. As a tourist who has had to take advantage of a hotel’s “forgotten item list” a few times in the past, I was glad to see that Motel Montcalm also offers such a list of items to their guests. Forgot your toothbrush? A razor? Even a condom (!)? No worries, Motel Montcalm has you covered. For those of you who love to enjoy bicycling in the great outdoors, you’re in luck. Motel Montcalm will be starting their bike rental program for guests in the spring of 2014. This is fantastic because the Ottawa-Gatineau region is chalk full of great bike paths. You can even bike over to Parliament Hill, from Motel Montcalm, if you like. Bike rental comes with a helmet so guests do not need to worry about bringing one. Motel Montcalm provides guests with an onsite “community kitchen”. Here guests can access a full kitchen, complete with fridge. This community kitchen is for guests who like to eat healthy (avoiding fast food/restaurant meals) and cut down on expenses while travelling. One of the great things about Motel Montcalm is its location. 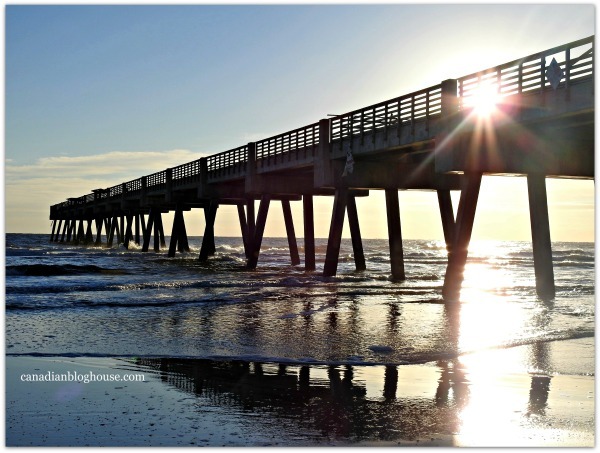 It is close to so many well-known attractions, as well as many “hidden gems” known mainly to locals. There are so many things to see and do in the Gatineau area, that I’ve decided to do a follow-up blog about Gatineau itself. Suffice it to say that if you book a stay at the Motel Montcalm, you will be within a 10-15 minute drive of many of the area’s tourist attractions. 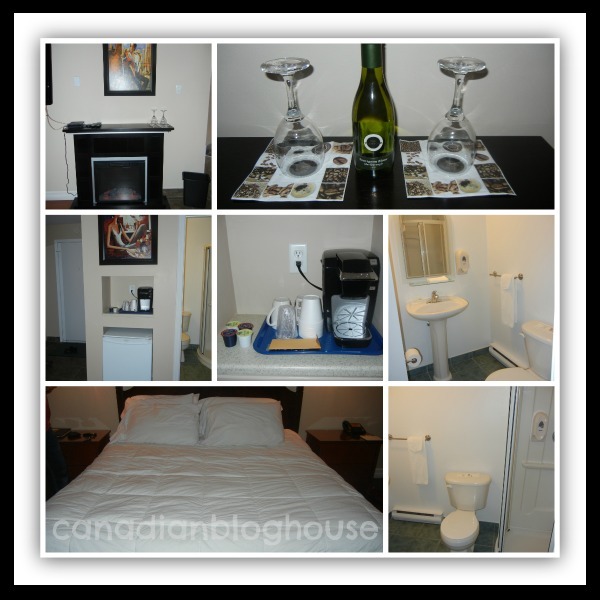 Motel Montcalm is also within walking distance of many shops and restaurants. 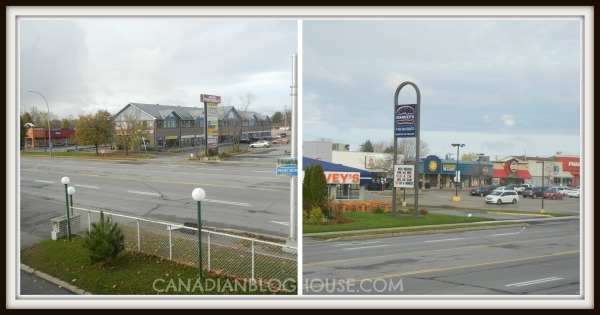 As you can see from my photos (taken from the window of our suite) you can choose from KFC/Taco Bell, Harveys, Mikes, as well as our personal favourites Gabriel Pizza and Cora’s. If you enjoy Chinese food there is L’Oncle Ho which is just a few doors up Greber Blvd. from Motel Montcalm. We can’t speak for the dine-in experience but, we have eaten from their take-out menu, and it was delicious. You can even request delivery from L’Oncle Ho. If you are in to some serious shopping, you can walk to the largest indoor mall in Gatineau, Les Promenades Gatineau, where you will find many chain stores, as well as local and Quebecois retailers. Two of my favourite stores at Les Promenades Gatineau include Renaud-Bray (gifts & books) and Rodin (kids clothing). Need groceries? You’ll find a Maxi grocery store just around the corner on La Savane, where you can also find a Tim Hortons, Toys R Us, Future Shop and more. Need a late night item from the drug store? Shoppers Drug Mart is just across the street from Motel Montcalm, and is open until 10pm. For those with a car, just north of the motel on Maloney Boulevard you’ll find many more well-known stores for your shopping pleasure. Pssst….insider tip. If you are coming from Ontario, are a Costco member, and love certain types of beverages, stop in at the local Costco that is located within Les Promenades. They have a great selection of cheap beverages. You’ll understand what I mean when you see all the Ontario license plates in the parking lot, and the people walking out of Costco with multiple cases of their favourite beverages. We very much enjoyed our stay at Motel Montcalm. Make no mistake. Motel Montcalm is a MOTEL. You won’t find all the luxurious ammenities, found at some of the large national chain hotels in downtown Ottawa, at Motel Montcalm. What you will find is a traveler’s motel that is budget friendly, clean, comfortable, safe, and is close to a host of fabulous tourist attractions. A stay at the Motel Montcalm, on the Gatineau side of the Ottawa River, provides travelers with a little less hustle and bustle, while still being very close to the action and excitement of the big city. Be sure to check out Motel Montcalm’s website for more information. If you would like to see more photos of other rooms offered at Motel Montcalm, check out the Motel Montcalm Facebook page. Motel Montcalm also provided us with a complimentary dinner for 2 at Malone’s Lakeside Grill on Dow’s Lake. We have not had a chance to enjoy our dinner at Malone’s yet, but stay tuned to the blog – I’ll be writing about our culinary experience once we do. Guess what? Our friends at Motel Montcalm have something exciting in store for Canadian Blog House readers!! Here’s a chance for you to WIN a 2 night stay at Motel Montcalm for two people in the same King Jacuzzi Suite we stayed in!! 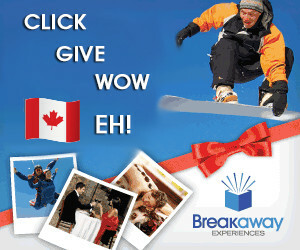 Your 2 night stay at Motel Montcalm will also include dinners, and a 3-day museum pass for 2. Total value of this great prize is approximately $500!! The winner of this Motel Montcalm giveaway will have until March 1, 2014 to enjoy their 2 night stay at Motel Montcalm. My best advice? Plan your stay during Ottawa-Gatineau’s fantastic Winterlude/Bal de Neige festival, happening January 31-February 17th, 2014!! By staying at Motel Montcalm, you will be very close to all the Winterlude/Bal de Neige fun at Jacques Cartier Park and in downtown Ottawa. Please be sure to read the rules carefully. They contain all the (boring) important information…like the prize expiry date and more! A big thank you to our friends at Motel Montcalm for providing a great night’s stay for us….and for such a fun giveaway!! By the way…my friend and fellow Blogger, Christine from Life On Manitoulin, also had a chance to visit Motel Montcalm. Be sure to head on over to check out her great review of Motel Montcalm , and get another chance to win your very own 2 night stay!! 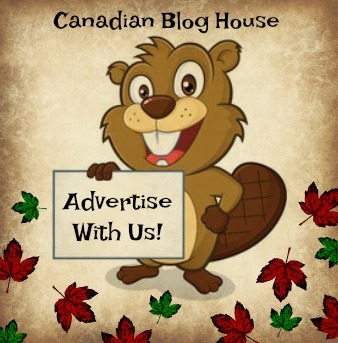 Disclosure: Canadian Blog House received compensation for this post. All opinions are our own. I would love to visit during Winterlude! 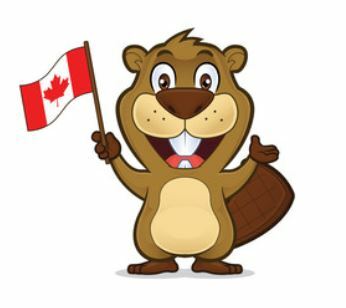 Winterlude is so awesome, May, and Motel Montcalm is so close to all the festivities – literally 7-8 minutes to Jacques Cartier Park and about the same across the bridge into downtown Ottawa. It’s an ideal location! Thanks for entering!! I’d like to see the Canada Aviation and Space Museum. Oh I love it there, Kim. I got to go there for the first time this year. Fascinating! Thanks for entering! What a great post … so many good details! I think I would be secretly relieved to check-in on a rainy night with my special guy because then you have a perfect excuse to stay in, have a bubble bath and watch movies! 🙂 I think your idea to stay on the Gatineau side in a save some $$ during Winterlude is great! Jacques Cartier Park is our absolute favourite part of all of Winterlude. The kids love those ice slides! Thanks so much, Julie, I really appreciate your comments! You are so right about the weather making for a good excuse to stay inside and enjoy our time in the room. I was disappointed that the weather was so lousy that day…until I got into the room and relaxed. Then I didn’t care at all 🙂 Yes! We love Jacques Cartier Park during Winterlude…and those ice slides are a blast. Thanks for reading and commenting, Julie! I love your honest review! I’m linking your post to mine so readers can get another person’s review. I love “keeping things real” and giving readers info so they can make informed decisions. We enjoyed our stay there as well. Thanks Belinda! What tourist attraction would you like to see the most? I would like to visit the Gatineau-Ottawa Air Show. That’s a great idea, Sally! I have yet to see that myself. Thanks for entering! Great review Sandy. You provided lots of great info about the area that many people might not know about. The Motel looks nice and the little imperfections you speak about are things that can easily be improved. Thanks cjm 🙂 Yes, hopefully this will help people (who usually stay in Ottawa) understand that there are a lot of great things to see in and around Gatineau. Thanks for reading and commenting! Oh that’s a must-do activity when you are visiting in the winter, Victoria. Hope you get to do it one day! Thanks for entering! That’s definitely a popular attraction in the area, Jeff 🙂 Good choice! Thanks for entering! The room sounds lovely, I especially like the hardwood floors. I would agree, Catherine. I really liked the hardwood flooring and the tiling. I’d rather have that than carpeting in a motel/hotel room 🙂 Thanks for entering! I’ve always wanted to go to Winterlude – maybe this will be the year! Fingers crossed, Julie! I’m sure you would love it. Such a fun festival. Highly recommend it. Thanks for entering! Our closest friends live in Gatineau and we live 1.5 hours away. With a family of four, we can’t stay overnight and it makes for short visits. It would be lovely to get a chance to visit with them. I loved your honest review and that you “can’t judge a book my it’s cover”. P.S. I hope that my friends count as a Tourist attraction although we do tons of stuff in the area when we visit. Off to read Christine’s post. Thanks so much for commenting, Sarah. Sounds like Motel Montcalm would be a perfect place for you and hubby to lay your head when you come to visit your friends. Thanks also for saying you appreciate my honest review. I strive to “tell it like it is”, so even if there is something I don’t like about something I am reviewing, I feel the need to share it with my readers. It’s so true…you really cannot judge a book by it’s cover 🙂 Hope you get the chance to stay at Motel Montcalm one day. Cheers! The wasterpark outside of Ottawa I heard it is great. I forget the name though. Oooh! That would be Calypso Water Park, Tanyab79. It’s great there. I’ve had the chance to go once and loved it. It would be about 1/2 hour drive from Motel Montcalm as it is on the outskirts of east-end Ottawa. But worth the drive for sure! Thanks for entering! Great idea, Penny! Sure to be fun (as long as you don’t gamble away all your spending money 🙂 ) Thanks for entering! What a great find! That bathtub is awesome. I would LOVE to visit during Winterlude. Definitely a great little find, Stephanie. Yes, the tub was wonderful. Ahhhhh 🙂 Thanks for entering! Funny you mention this reason for coming to stay, Gingermommy. I had a friend read my review. He said that Gatineau has a lot of hockey tournaments (etc), and with 4 arenas close to Motel Montcalm, he thought it would be a good place for families to stay for a night or two. Thanks for reading and commenting! That’s great to hear! The motel is the favourite place of many sports enthusiasts. If there are any other parents in the same boat, ask about group discounts. Thanks LaQuita! That electric fireplace sure makes it nice and cozy in the room. A great touch! Definitely put a visit to the Gatineau area on your bucket list. There are lots of beautiful drives up in the hills 🙂 Thanks for entering! Great choice, Angela….Winterlude is so much fun 🙂 Thanks for entering! I would actually like to offer this to my parents. I presently live in Ottawa and I would love to offer them a chance to come see us and also have a nice place for them to stay. Oh that is so sweet, Karine! Love your idea 🙂 Thanks for entering!! I would love to visit Gatineau park! Great choice, Elnaz 🙂 Be sure to check out the Champlain Lookout – you get a fantastic view of the Ottawa Valley from up high 🙂 Thanks for entering! I would like to take in Parliament Hill. You know, I’ve driven past, and walked around, Parliament Hill so many times in my life, however, I’ve never taken a tour inside! I need to play tourist in my own town! Thanks for entering, Pamalot! Thanks for Sandy for this review! The Outaouais region is such a great place for families! As we usually say, your kids will never whine, “I’m bo‑o‑ored!” We’ll keep them busy and entertained with a full menu of great activities served up morning, noon, and night. My pleasure!! 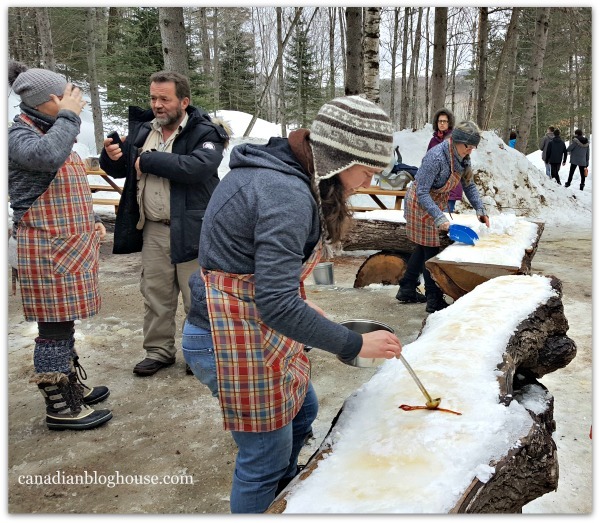 Thanks so much for stopping by my blog 🙂 I couldn’t agree more – so many things to do with kids in the Outaouais region! Cheers! I would like to walk (because I don’t like to skate!) on the frozen Rideau canal. I actually did that a couple of years ago, Maggie. I didn’t have my skates with me so I just hopped on the ice in my boots. I had a blast walking along the frozen canal 🙂 Thanks for entering! Hey Laura! Your answer doesn’t surprise me since I know how much you love Vegas 🙂 Thanks for entering! Great to see you here btw! I’d love to take our kids to the Museum of Nature – we haven’t been there since the renovation – it was under construction the last time we ventured there. We live about two hrs away but we would love a night or two away. I would love to see Winterlude…… are the King suites or Queen rooms on the ground floor? I can’t speak for the other suite rooms, Kathryn, but the one we stayed in (room 220) is located on the 2nd floor. We had some rolling suitcases with us and didn’t find it too bad. You do have to walk along a corridor once you are up the stairs though. You may have to make more than one trip to make it easier. Thanks for entering! Oh! Sounds like you need to make a trip to the Ottawa-Gatineau area, Carla! It would be a great place to bring your boys. So many fun things to do and see…and chalk full of history 🙂 Thanks for entering! There are so many great things to see and do! I always love a show at the NAC, a stroll through the National Gallery and I have been very keen to try a Quebec restaurant, Les Brasseurs de temps..
You are so right, Brenda! So many great things to see and do in the area 🙂 I’ve never heard of that restaurant before…going to have to check it out! Thanks for entering! The museums are great, Marie, and Gatineau Park is my fave 🙂 Thanks for entering! I would love to take in Winterlude! I would also love to get away with my hubby :)! A nice little getaway with hubby would be fabulous, Heidi 🙂 Thanks for entering! Oh this would make for a nice getaway for mom and dad for sure, Crystal. Sounds like you could use some one-on-one time with hubby 🙂 Thanks for entering!